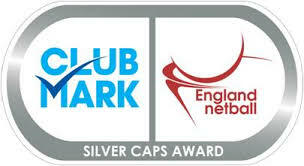 We are very proud that our club has achieved Silver CAPS accreditation. This prestigious accreditation is only given to clubs who can demonstrate that they are offering a good quality netball provision within their community. The CAPS scheme is an accreditation scheme run by England Netball for netball clubs with Junior sections. It covers the areas of safeguarding and protecting children, quality coaching and officiating, equal opportunities and good management and indicates that we are a well run club which is active and accessible. Silver award clubs have also demonstrated a further commitment to ensuring a club environment which provides a higher quality of coaching, leadership and volunteer opportunities for young people. We are delighted with this award and would like to thank everyone who has worked so hard to achieve this.